If you have damaged the glass touch screen on your iPad and the rear case, we can offer combined replacement service for your iPad, allow our technicians to remove your broken screen and replace your rear case with a new one.We will replace your iPad touch screen and iPad metal rear case to the highest of standards offering a factory finish on the replacement service. * Our normal repair turnaround times are 3 - 5 working days. We always aim to complete repairs as fast as possible. 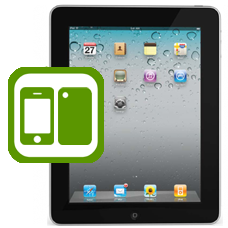 This is an in-house Apple iPad 1 repair service, when ordering this service you are required to ship your iPad into our repair centre for works to be undertaken.